On the Sabbath before the Friday He died on the cross, Jesus entered into Jerusalem with His disciples. The city was stirred as many people welcomed Jesus by putting their cloaks on the road, as well as branches from palm trees. As Jesus made His way through the city, people shouted, "Hosanna to the Son of David… Blessed is he who comes in the name of the Lord… Hosanna in the highest heaven" (Matthew 21:9). In this parade atmosphere, Jesus made His way to the temple courts. Upon arriving, He saw all the business being conducted under the guise of religion and what He saw evoked one of the most angry moments imaginable. Jesus began to drive out the people who were "buying and selling" (Matthew 21:12). In the name of God, the business people were making money at the expense of the poor. It did not sit well with Jesus. The place of worship was never meant to be the place of profit. It was to be a place of healing and comfort. So "the blind and the lame came to him at the temple, and he healed them" (v. 14). Jesus believed something the people looking to make a buck did not believe, "My house will be called a house of prayer." It didn’t end there. He said, "You are making it a den of robbers" (v. 13). All of it did not sit well "with the chief priests and the teachers of the law" (v. 15). They were so busy being the church, they forgot to be the church. What are we to make of Jesus here? How shall we relate to this One who believes in prayer the way He does? How shall we go about being the church for which Jesus longs? In the busyness of our lives, how shall we go about being "a house of prayer," a people of prayer? 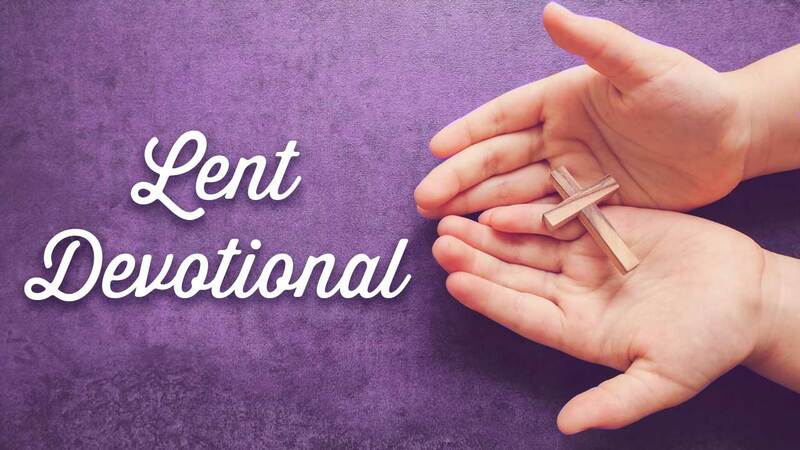 Maybe these questions are why a time like the season of Lent is so important. As the days begin to lengthen and we move into Spring, it is an excellent time to remember, to do some housecleaning, to pray, and to reflect upon just who we really are. Who are we? We are followers of the Lord Jesus Christ, the Messiah, who lived among us as the incarnation of God and who leads us into the very heart of God, who invites us to know Him as, "Father." We live in Jesus who speaks grace and mercy and divine healing into our lives. We live in Jesus who calls us to open our hearts to God and to “ask… seek… and knock" at the throne of grace so our lives might be shaped and formed into the likeness of Jesus who reveals the depth and meaning of God’s amazing love. Martin Luther said, "To be a Christian without prayer is no more possible than to be alive without breathing." Philip Yancey said, "For me, prayer is not so much me setting out a shopping list of requests for God to consider as it is a way of 'keeping company with God.’" May God help us to be a people of prayer in a world in desperate need of God’s redemptive love.